Danny’s father went missing making a documentary about some World War Two tunnels in Poland. Then a car crash took the rest of Danny’s family and the lower part of his left leg. It also took any hope of being a filmmaker like his father. It’s hard to follow in someone’s footsteps when you’ve only got one foot, or stand up for the truth when simply standing can hurt. But some stories demand to be told. Danny gets the opportunity to finish his father’s final film. When he arrives at the tunnels he finds everything he’s been told is a lie. His family were not what they seemed, and the stories he’s been telling himself also aren’t true. He is capable of making this film. He can uncover the truth. He just has to keep going one painful step at a time. But some secrets are buried for a reason. 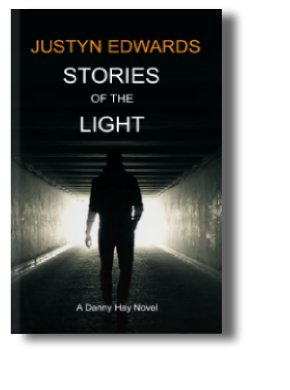 Stories have power and there are those who don’t want this one coming into the light. They’ll do all they can to prevent it from being told. 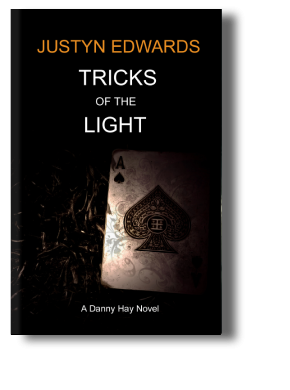 If Danny keeps digging he may never make it back to the surface as he’s uncovered the most terrifying tale of them all: one that’s still being written. Danny Hay takes part in a new TV magic show. They’ll take an ordinary member of the public and train them to make twenty million pounds worth of diamonds disappear from one of the most secure bank vaults in the world. All on live television. The problem is Danny isn’t an ordinary member of the public. Because he knows what they really want. And that there are more than diamonds in that vault. Kieran used to love his work in the Bubble. As the planet heated up and the waters rose they built it for the immigrants. A new home. But the problem was work – simply not enough jobs to go round. Until the Network spotted the potential and turned it into the world’s biggest reality TV show. Kieran has to keep the audience hooked. 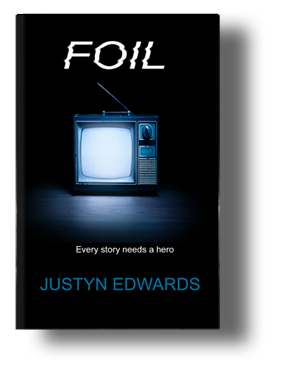 He works as a Foil – used by the Directors to spice up the drama, stoke the injustice. It’s dangerous work but it pays well. Plus, he makes a tidy profit illegally selling information on the latest plots-twists to outsiders making Bubblebets. On a really good day, Kieran might get to see Megan. She’s only a minor character in a current sub-plot, but Kieran thinks she’s the most beautiful thing in the world. If he could watch the Bubble he’d download her content. All of it. But TV audiences are easily bored and the drama he’s being asked to produce is getting more extreme. So he plans one final scam, to make enough to get out. But in the middle of his plan, Megan disappears. It shouldn’t be possible to vanish under the noses of millions of viewers, using billions of cameras. It can only be the work of the Rising – a movement who’s also tired of the exploitation and is fighting back. They beg Kieran for his help but he knows they can never win. The Directors hold all the cards. Millions will watch. Five will plan. One will rise. Fourteen-year-old Jack is worried. He lives right next door to a massive dairy farm, and he’s read that livestock cause about half of all greenhouse gases. 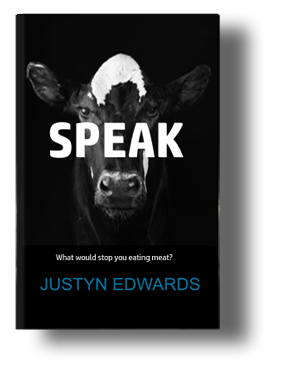 Our addiction to meat is killing us. So he hits on an idea. What if he makes it look like the cows can talk? Surely that would stop people eating them. The idea is a success, the media get hold of it, and before he knows it he’s at the centre of a nationwide campaign to save the planet. But then he finds that somehow the cows are talking back.